Analysis: Foster fell well short of the 94 yards he'd reached in four of the previous five games, but things certainly could have gone worse for owners desperate enough to look his way. The undrafted Alabama product will finish out his rookie campaign against the Dolphins in Week 17. Analysis: Foster's 42-yard touchdown with 10:26 left in the fourth quarter gave his team a 14-13 lead and ended up standing as the game-winning play. The undrafted rookie out of Alabama has consistently flashed a nice rapport on deep balls with strong-armed quarterback Josh Allen, racking up 94 yards or more in four of the past five games. Foster will have some upside against the Patriots in Week 16. Analysis: Foster accounted for more than half of quarterback Josh Allen's 206 passing yards. Something about facing this opponent brings out the best in the rookie, as he's topped 100 yards in both meetings with the Jets while totaling 151 yards against all other competition. While Foster's probably the most fantasy relevant receiver on the Bills, Allen's struggles as a passer will make it tough to trust any member of Buffalo's offense against the Lions in Week 15. Analysis: It's quite the ascension for Foster, who was sitting on the practice squad less than a month ago. A few big games and a couple of roster moves later, Foster now looks to be no worse than the third option at receiver. 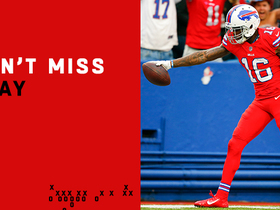 The Buffalo passing game is incredibly inconsistent, but with a strong-armed rookie in Josh Allen throwing him the ball, the speedy Foster should have a few more big plays in him before the season draws to a close. Foster was targeted four times and came down with one 27-yard pass during Sunday's 21-17 loss to Miami. Foster caught two of three targets for 94 yards and a touchdown during Sunday's 24-21 win over the Jaguars. 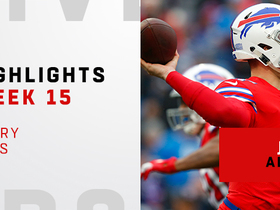 Analysis: Foster's highlight came in the first quarter when rookie Josh Allen found him deep for a 75-yard strike to put Buffalo up by two touchdowns. 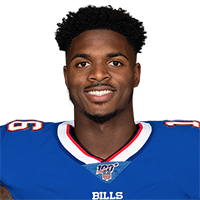 The rookie had just two catches on the season heading into last week, but has five during Buffalo's two-game winning streak, three having gone for 40 yards or more. He gets a very favorable matchup to keep that going next Sunday against a Miami defense giving up 12.4 yards per catch, among the bottom five in the league. 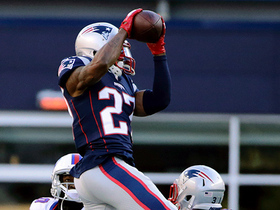 Foster caught three of four targets for 105 yards in Sunday's 41-10 win over the Jets. Analysis: Foster's only previous NFL stats were two catches for 30 yards accrued in Week 2, but it took him just one play to eclipse that production. He gained 47 yards on the game's first play and ended up topping 100. Despite Foster's strong performance here, he'll be very difficult to trust after the Week 11 bye, given what we've seen from Buffalo's offense this season (this game notwithstanding). 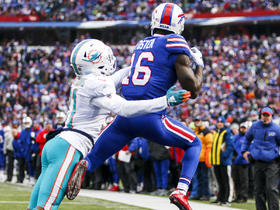 Foster was promoted to the Bills' 53-man roster Saturday. 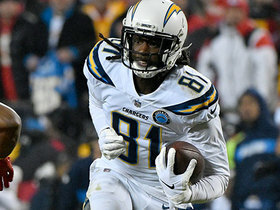 Analysis: Foster spent the first six games of the season with Buffalo before being released, and subsequently joined the team's practice squad. The 24-year-old had two receptions for 30 yards and is unlikely to take on a significant workload offensively. Buffalo Bills quarterback Josh Allen throws a pass over the middle to receiver Robert Foster for 25 yards. 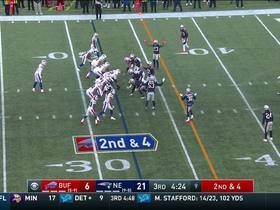 Buffalo Bills quarterback Josh Allen floats a ball in the air long enough for New England Patriots cornerback J.C. Jackson to leap up and grab for an interception. 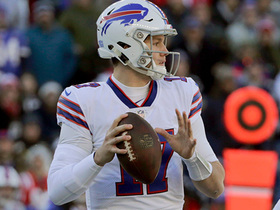 Buffalo Bills quarterback Josh Allen tries to find wide receiver Robert Foster in the end zone and the pass goes off Foster's outstretched hands. 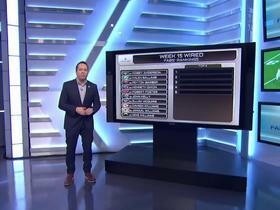 Check out the nominees for Pepsi Rookie of the Week for Week 15. Buffalo Bills rookie quarterback Josh Allen throws deep to wide receiver Robert Foster for a 42-yard touchdown. 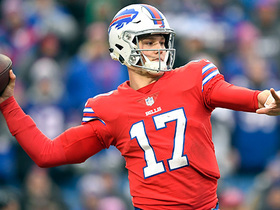 Check out every Buffalo Bills quarterback Josh Allen to wide receiver Robert Foster connection in Week 15 victory over the Detroit Lions.